Walters apprentices complete 2018 CECA Wales Leadership Challenge and are still smiling at the finish! 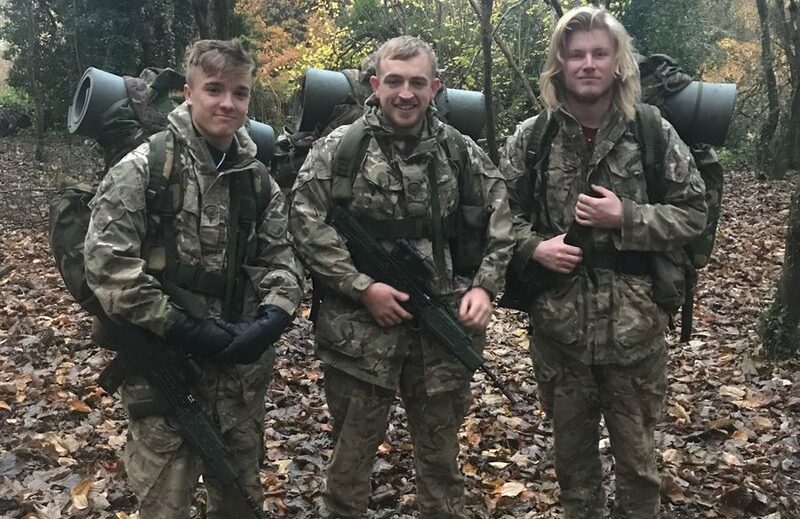 We are extremely proud that three Walters apprentices, Sam Knowles (Quantity Surveyor), Tom Burbidge (Engineer) and Gruff Roberts (Quantity Surveyor) recently completed the gruelling CECA Wales Leadership Challenge 2018 at Crickhowell Army Camp. The event, run by the Royal Monmouthshire Engineers, takes place at the army barracks at Cwrt y Gollen Army Camp in Powys and is aimed at the “brightest and the best” in the Civil Engineering industry. Taking place over two days it is especially designed to test the participants leadership capabilities in a fun but competitive environment. This year the event attracted seventeen participants who were split into teams by the Armed Forces. Over the two days everyone taking part was expected to complete a series of hands on challenges. These tasks are specifically designed to test an individual’s team building, leadership and communication skills. Tests completed included missions linked to bridge building and water supplies, all of which are performed in a ‘military’ and outdoor environment and under the superb guidance of the Royal Monmouthshire Engineers. After a, not so restful, night under a tarpaulin canopy in a forest our team had to complete an assault course to conclude this arduous and extremely challenging event. John Griffiths, Commercial Director of Walters and Gavin Lockyer, Group Operations Director, attended the event on the final day to congratulate our boys at the finish and to join all the participants for a very welcome lunch and presentation. Sam, Tom and Gruff are all part of the Walters apprenticeship and under-graduate pathway scheme towards each gaining their respective degree qualifications. All three are currently attending University on a day release basis. The Civil Engineering Contractors Association (CECA) Wales represents 60 of Wales’ largest and smallest civil engineering contracting businesses. For more information click here for the CECA Wales.